From the “Ask a Nutritionist” section of Vegetarian Times. Click the image below for the full article. My question is — why do we even need a sweetener? It’s all in the programming. I’ve had my morning coffee for years black/no sweetener and prefer it hands-down over sweetened coffee or tea. It wasn’t always that way, but I programmed myself to appreciate the taste. 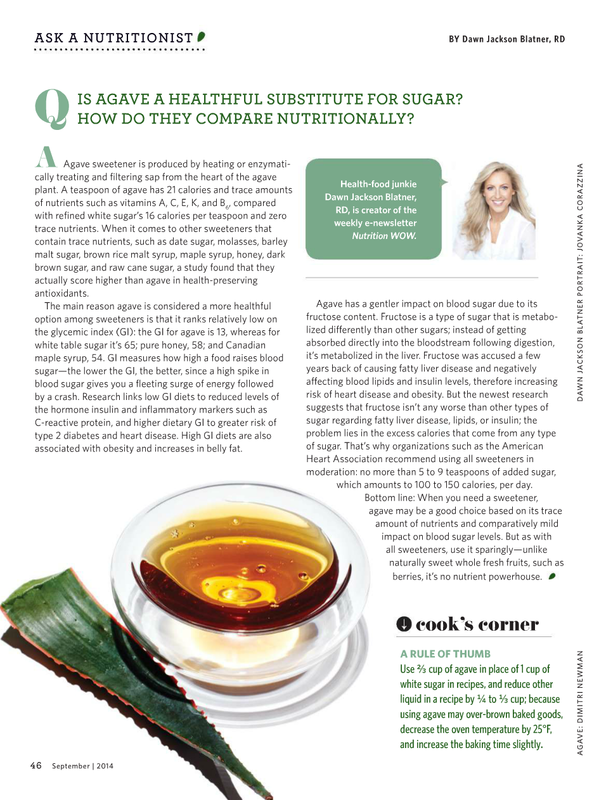 And if you’re cooking foods that require a sweetener, [as this article suggests replacing sugar in recipes -with agave] you’re probably using other incredibly processed ingredients anyway. …making something unhealthy. My take is simple – but really doesn’t need to be more complex. Amber Pierce. Professional athlete. Fan of food, bikes and beauty, not necessarily in that order. A blog for every martial arts enthusiast!